Some rumors had claimed that Samsung will introduce a Galaxy Note 9 model with 512GB of internal memory, and if you remember, we also reported a while back that the upcoming flagship might sport this particular variant. As per a new leak, this particular model should be released, but it does not look like you will be able to purchase one. There is a possibility that other regions may get this variant at a later date, but for now, the Galaxy Note 9 with massive levels of internal storage is going to be sold in the aforementioned regions and for a premium price. Right now, it is not known if other than the memory, anything will be different in the 512GB variant of the Galaxy Note 9, but we did report that the device will also come with a maximum of 8GB RAM. However, the base model will be arriving with 6GB of RAM and it will be powered by Exynos 9810 SoC. Sadly, the Note 9 will not feature LPDDR5 RAM and UFS 3.0 storage since Samsung will most likely reserve that for the upcoming Galaxy S10. Moreover, the upcoming flagship will be running Android 8.1 Oreo with Samsung Experience on the top. The phone is also expected to have a 4,000mAh battery, along with a variable aperture camera next to the secondary telephoto lens; the front camera would allegedly be an 8MP shooter. 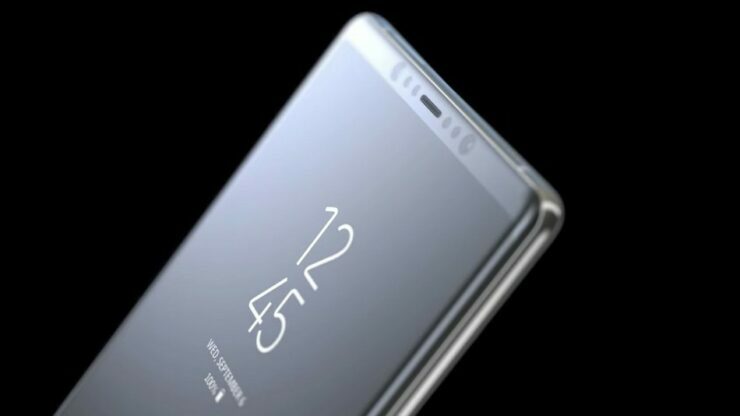 As far as the design of the Galaxy Note 9 is concerned, it is expected to look a lot like its predecessor, the Note 8. So, in short, it will have an aluminum frame that would house the power key, the volume button, and a dedicated Bixby button. Even though some leaks in the past claimed that it will have a new shutter button, the new rumors have rebuffed this claim. Both the front and the rear panels would be made out of glass, with the device shipping with the large Infinity Display that would have slightly thinner bezels than those seen on the Note 8 last year. Samsung will allegedly take the wraps off the Galaxy Note 9 at an event in New York on August 9. Pre-orders are expected to begin shortly afterward and the phone will apparently start retailing two weeks after that. Should You Wait for the Galaxy Note 9, or Pick up the Galaxy S9 Plus Instead?